The Seattle Police Department (SPD) has released 35 never-before-seen pictures from the death investigation of Kurt Cobain, the rock legend and frontman for the band Nirvana who was found dead in his Seattle-area home in April 1994. The photographs taken at the scene almost 20 years ago by responding SPD officers remained undeveloped until recently. Last week, the department announced it had developed the film as part of a re-examination of the rock superstar's death investigation, first reported by CBS affiliate KIRO-TV. For the first time, a number of the photos show exactly how Cobain left what police say was a suicide note. It was on top of a planter in the greenhouse with a pen stuck through the center of the note. Although a copy of the note has been previously released, these photos of its placement in the greenhouse have not been. Other photos depict the scene where Cobain's body was found: a sparse greenhouse room above a detached garage, with one stool as the lone piece of furniture. There are pictures of Cobain's heroin kit authorities say was found at the scene, complete with syringes and other paraphernalia kept in a cigar box. Another photo shows Cobain's wallet from which police removed his Washington State drivers license. A cigarette lighter, a pack of cigarettes, a winter hat, cigarette butts, and sunglasses lie on the floor strewn around his heroin kit. There are also photos of officers, detectives and supervisors securing the scene, and making a telephone call on an obsolete 1990s cell phone. Some photos also show where police covered the glass doors to keep out the prying eyes of gawkers and the media as the news got out that the pop culture icon was found dead. Twenty-six of the newly released photos are from 35 mm film. These photos are clearly degraded with a strong green tint. In addition, Seattle police released nine Polaroids, also never before made public, depicting Cobain's drug paraphernalia as well as exterior pictures of the Lake Washington house, the greenhouse above the garage where Cobain's body was found, and the view of the home from the street. In an age before digital cameras, Seattle police in the 1990s were trained to use the 35 mm film along with instant Polaroid photos as a protective measure in the event that film was damaged or lost. During investigations, the instant Polaroids provided police with an immediate reference when conferring with colleagues or interviewing suspects rather than waiting for film to be developed. Conspiracy theories about Cobain's death including rumors of murder persist despite the Seattle police opinion and coroner's determination that the death was a suicide from a self-inflicted gunshot wound. In anticipation of the 20-year anniversary police announced last week they had re-examined the SPD death investigation file. Veteran homicide detective Mike Ciesynski, who runs cold case investigations for the SPD, said his review confirmed a suicide, and "a textbook perfect investigation." As part of his review Det. Ciesynski decided to examine the four rolls of previously undeveloped 35 mm film initially logged as evidence. "I thought it would be a good idea to take a look at that (undeveloped film) because there were some conspiracy theories that ... we (SPD) were hiding the film," Det. Ciesynski told CBS News. SPD's decision in the initial investigation during the 1990s not to develop the film had helped stoke conspiracy theories that police were covering up a murder. Det. Ciesynski said developing the film might help quell the conspiracy rumors. He also noted that the degraded film might soon expire which could further fuel the controversy. "I think they are going to regret that they said that (suicide) sooner or later," he told CBS News, explaining that he does not believe the SPD literally covered up a homicide, but accuses them instead of "knee jerk incompetence." Grant believes the fact that it took twenty years for SPD to develop the 35 mm film "speaks volumes" about the conduct of the investigation. He believes the film should have been developed 20 years ago. Internal SPD documents reveal that security of the evidence photographs concerned Courtney Love as far back as 1995, whose attorney "called and asked if the photos could be destroyed to prevent any mistaken release." One document dated Feb. 13, 1995, mentions Tom Grant for "once again" sparking media attention to "the suicide of Cobain" nearly one year after his death for "alleging (Love) was responsible for the husbands [sic] death and we (SPD) covered up the murder." The memo is written by Sgt. Don Cameron of the Homicide Unit at SPD, the man pictured in one of the newly released photos speaking on an obsolete cell phone from the greenhouse above the garage. Sgt. Cameron states to his superior in the memo that he explained to Love's attorney that the SPD would not comply with her request to destroy the photographs. "I explained with Grant still running amok we would look foolish and certainly unprofessional if we destroyed the only photographs of the crime scene," the memo states. Grant, himself a former Los Angeles Sheriff's Deputy, has maintained for 20 years that the SPD "rushed to judgement" and did not adequately investigate the death of Cobain as a homicide. Det. Ciesynski questions Grant's knowledge of homicide investigation techniques. "An experienced Det. would never have come up with the theories that he's come up with." 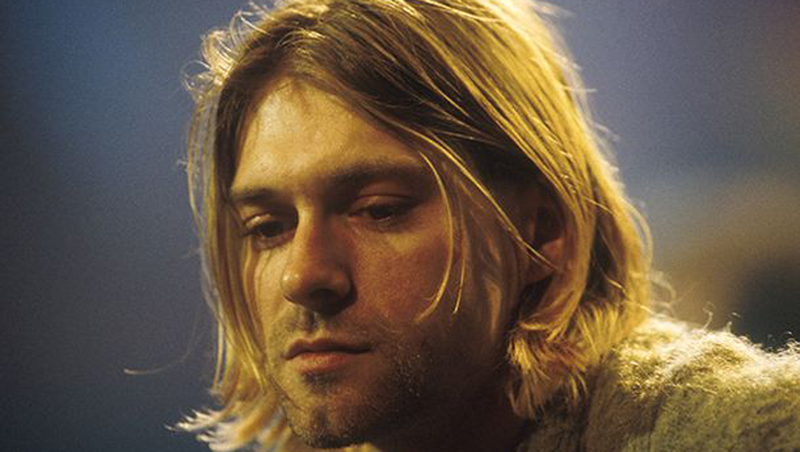 However, it seems the SPD re-examination will hardly be the final word on Cobain's death. Grant is involved in a feature film documentary titled Soaked in Bleach, a double entendre referring to the process for cleaning heroin injection needles, and presumably a reference to an alleged cover-up of murder. Grant explains the film has been shot although it does not yet have a release date. It examines the final days of Cobain's life and the subsequent investigation into his death. "Anybody that watches that film will walk away saying, they (SPD) have to re-open this case." Greg Fisher is a producer for 48 Hours who covers crime and legal affairs on the West Coast. He is also frequent contributor to Crimesider. Follow him on twitter at @CBScrimefish.